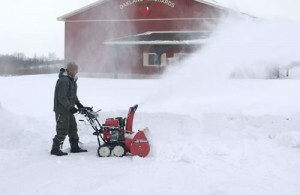 It seems almost inevitable: you’re cleaning up the snow that’s landed on your driveway, and then you notice that nothing is actually coming out of the chute. 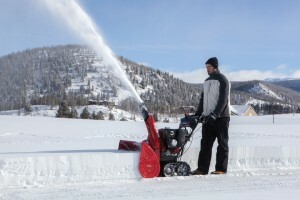 Why do snowblowers clog, and what can you do to keep it from happening? 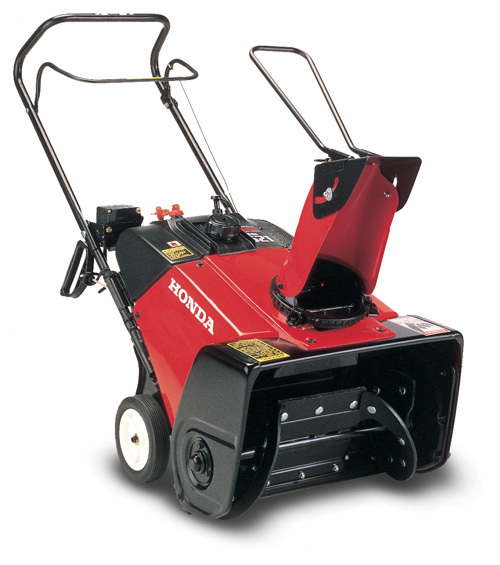 Winter is here, and that means a constant battle between snowfall and your driveway. 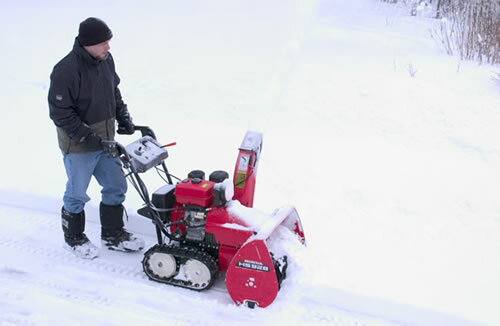 These tips will help you get the most out of your Honda snowblower, keeping the pavement uncovered with as little effort as possible while reducing the chance of breakdowns. 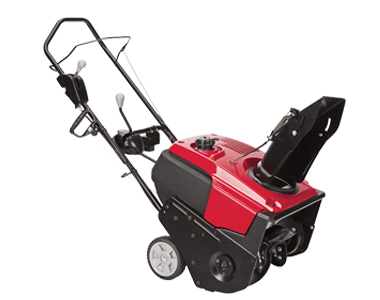 If you own a Honda HS720AM Snow Thrower and have been experiencing trouble with your equipment, here are a few suggestions that will get your snow thrower running smoothly again. This may be due to a faulty power outlet. 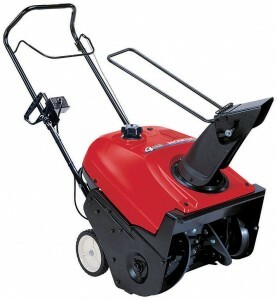 Try using a different outlet, or start the engine using the recoil starter. 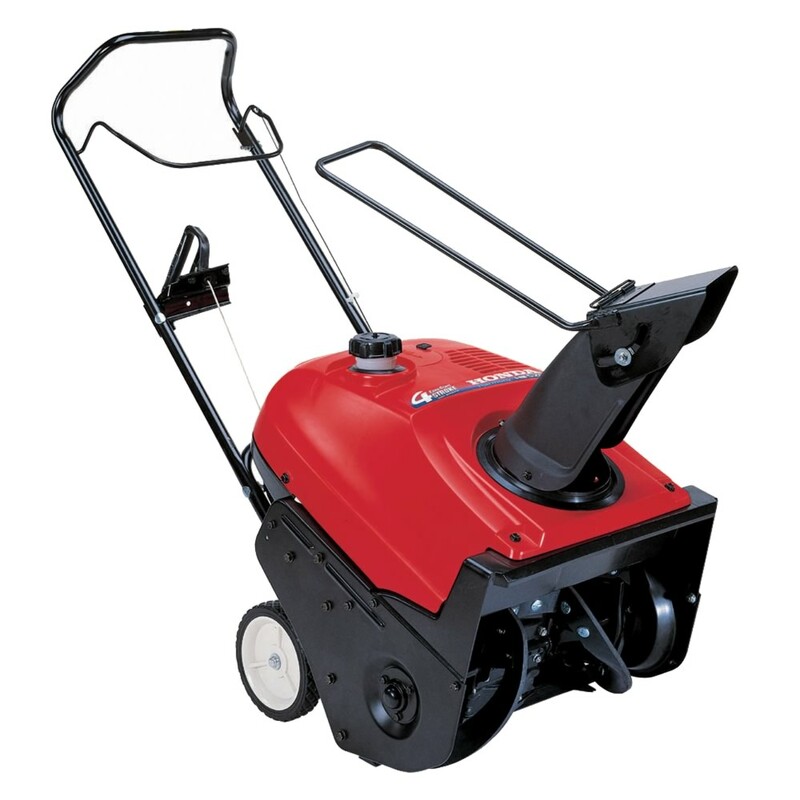 If the problem is with the electrical cord, replace it immediately, or use the recoil starter to start the engine. This may be caused by not switching on your engine switch or fuel valve. Take a moment to ensure that both are properly switched to the “on” position. If the fuel you are using has gone stale, drain your carburetor and replace it with fresh fuel. Honda snowblowers are remarkably durable and able to survive winter with relatively little maintenance required from the homeowner. 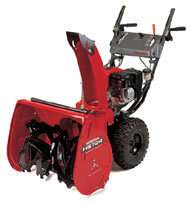 Sometimes, the combination of debris and rough snow or ice can negatively impact the equipment’s tires. 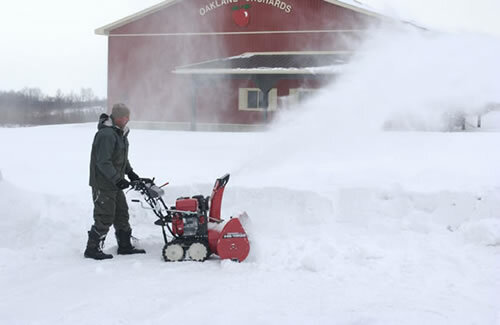 After a few seasons of tough snow clearing, it becomes necessary to change these tires in order to ensure good traction and snow clearing in the future. HondaLawnParts.com provides Honda Snowblower Tires, which equipment owners can easily replace by following a few simple steps.